The Senate Judiciary Committee is giving Christine Blasey Ford attorney’s until the end of the day Friday to work out terms of next week’s proposed hearing on Ford’s allegations that Supreme Court nominee Brett Kavanaugh sexually assaulted her, according to a Republican senator. The GOP is offering to hold the hearing on Wednesday after Ford sought Thursday and is meeting some of her requests but not others, the senator said. The senator added that Republicans are not inclined to agree with Ford’s lawyers that she should only be questioned by lawmakers – not an outside counsel. “We’ll do it on Wednesday, we expect the accuser before the accused, and we do intend to have the counsel do the questioning,” the senator said, summing up the Republicans’ stance. GOP members of the Judiciary Committee held a conference call on Friday morning to discuss how to respond to the requests from Ford’s lawyers. 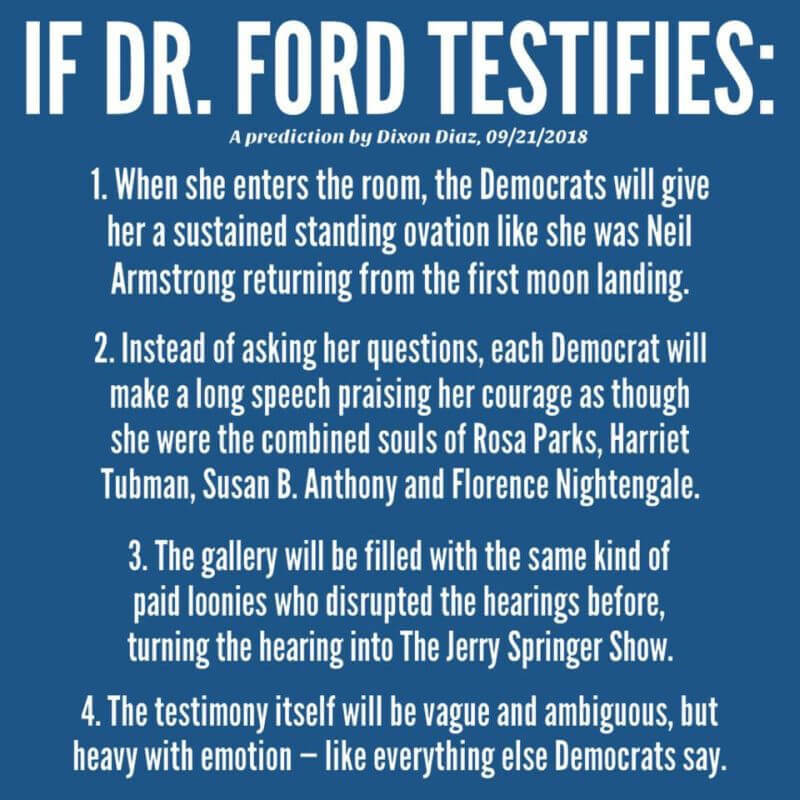 But several elements of their offer appear to be nonstarters with Democrats and Ford’s camp, which had made clear that she could not be in the capital to testify before Thursday, according to a senior aide to the minority. “They’re making this disingenuous counter-offer knowing she won’t be here,” the Democratic aide said. The GOP has been told that Ford does not want to fly from her California home to Washington, according to the Republican senator, which means she may need to drive across the country to make the hearing.